One of them, Abdel Rezzaq, 19, arrived at the Revolutionary Security office, run from the abandoned daycare centre, in a muddy narrow lane in the heart of Bustan al-Qasr. Together with his parents, he wrote a hand-written statement alleging that, while inside the Air Force intelligence prison, he had heard the sounds of 30 men being shot dead. We found Abdel Rezzaq, now working as a straight vendor selling coffee in Bustan al-Qasr. “I am one of the resistance fighters in Aleppo,” he said. “I am fighting the terrorist regime. I used to work with Syrian state television and I left the regime two years ago. “Mohammed was going to the dentist in Jamilia and he was taken by the military. He was arrested because he was young and the military thought he was with the FSA. “We knew where he was being held and his father went to see him but the military told him that he will be joining the army now. Several days later, his body ended up in the river “This is a dictator’s regime. They took that kid to join the army and then they killed him. This is because he was a Sunni. This war is obvious. This is a message from the Shia regime to the Sunnis. Another man, who identified himself as Abu Lutfi, also claimed that his family had tracked down their missing relative, Mohammed Waez to a military prison in West Aleppo “He was a merchant and he was stopped at the checkpoint and was taken.We went to ask about him and the military told us that he was with them and in 10 days he will be released. Instead, 10 days later, we found his body in the river. He was handcuffed and his legs were bound. He was shot in the head. “I am covering my face because if the regime recognizes my face, I will be dead and every single member of my family will be dead. They will kill us and no one can find us. We are for sure with the revolution. We served the military for 40 years and now this is the army that is attacking and killing us. “I am working as a fighter in Katibat Majd al-Islam. Two of my cousins, Yassin, 20, and Omar, 14, were tailors. They went missing 5 days before the massacre. I knew the army had a checkpoint in their area and I told them to be careful. They were the main financial supporters to their families. They went to work (in the west) and I saw them on their way to work. It was getting late and their father came to me asking if I saw them and we were searching for them. Several days later, we heard about the massacre and we went to retrieve their bodies. 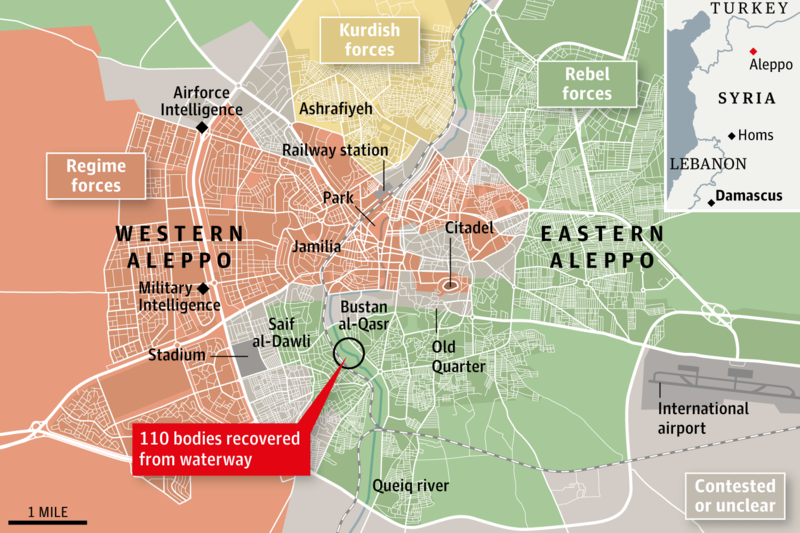 In the days following the massacre, Syrian officials blamed ‘terrorist groups’ for the deaths. State television broadcast a ‘confession’ from an alleged member of Jabhat al-Nusra, the jihadist group that shares the worldview of the late al-Qa’ida leader, Osama bin Laden, which has become increasingly prominent on some of the battlefronts of Syria’s civil war, inclusing Aleppo. 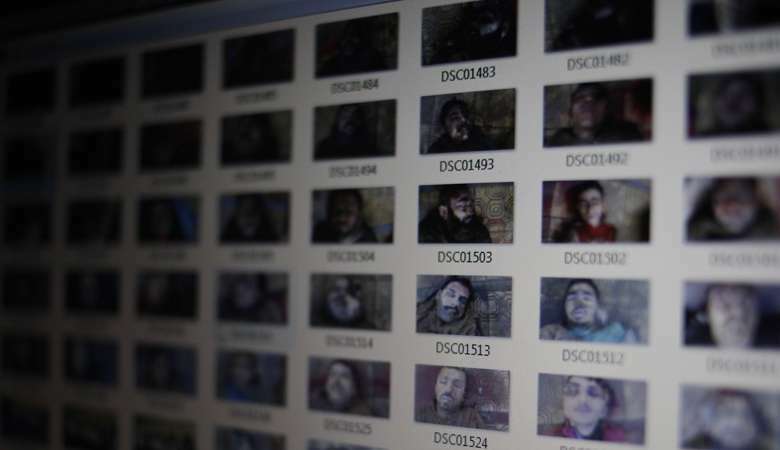 “Jabhat al-Nusra won’t do such a horrible thing,” said Amer al-Ali. “No muslim can do such a thing but this regime can do it. You call us terrorists. come and fight us face to face. 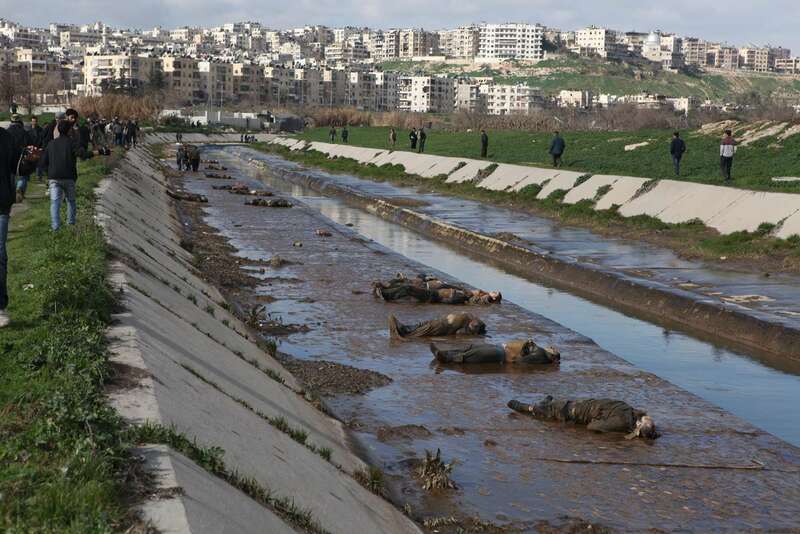 This entry was posted on March 11, 2013 at 7:32 PM and is filed under Uncategorized with tags bodies, guardian, syria, washed. You can follow any responses to this entry through the RSS 2.0 feed. You can leave a response, or trackback from your own site.